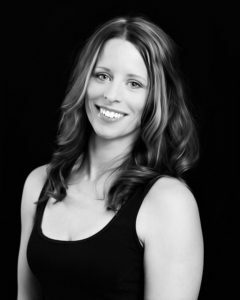 Kari is the Artistic Director and owner of “Synergy Dance Academy”. She received her dance training at Monona Academy of Dance under the direction of Jo Jean Retrum and Jean Adams. She took classes in tap, jazz and ballet for 12 years and was a part of the Wisconsin Dance Ensemble’s Nutcracker for 10 years. Kari was a ballet, tap and jazz teacher at West Side Performing Arts (WSPA) for 3 years. 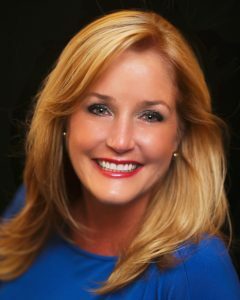 Kari’s enthusiasm for dance education as well as her organizational and leadership skills is something she is excited to share with the parents, students and staff of SYNERGY DANCE ACADEMY. Rachel has taught multiple disciplines of dance for 26 years, but has focused on jazz and tap over the last decade. She has choreographed award-winning competition pieces for the dance teams of WSPA and is proud of her many former students who have moved on to professional careers in dance. In her teaching, Rachel puts a strong focus on technique, and enjoys challenging her dancers to be the best they can be. Allison has been dancing for over 25 years and is trained in ballet, pointe, lyrical, jazz, tap, hip hop and musical theater. Her classroom emphasizes technique, core strength, and encourages students to dance with intent! While dancing, she received numerous scholarships to train and perform with choreographers in Los Angeles and New York. Her choreography has consistently produced award-winning pieces for multiple dance teams in the Midwest. Daniel (Kooy) Buie has been dancing since the age of 4, imitating Michael Jackson and Usher Raymond. In 2009, at age 18, he began taking dance seriously particularly hip-hop, performing with his crew “Majestic” who was on MTV’s “Made” (America’s Best Dance Crew edition). 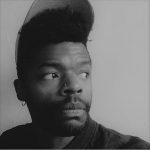 In 2011 he began teaching hip-hop and choreographing at various studios around Madison as well as working with entertainment company, “Celebrations” where he was often hired to perform at Bar and Bat Mitzvah’s. He started taking part in Hip-hop dance battles in 2014 and has won six of them thanks to his unique and creative choreography and overall style. Kooy enjoys judging these battles and encouraging the next generation of hip hoppers. Kooy considers himself a lifelong student and looks forward to spreading the knowledge of the vast variety of hip-hop styles to all ages. LILLY CROCHET Lilly started dancing when she was 3 years old at Westside Performing Arts and later Synergy Dance Academy. She has been a part of numerous Nutcracker productions by Madison Ballet. Lilly is trained in ballet, pointe, tap, jazz, lyrical, contemporary, musical theater and hip hop. Lilly has been dancing competitively since 2008 and is currently on the Synergy Senior Dance Team. Lilly is currently the caption of her High School Poms Competition Team and helps choreograph all of their routines. She has won various dance scholarships at numerous conventions and was named first place junior in the Midwest with her pom solo. She has also won First Overall with her pointe, jazz and contemporary solos. Her contemporary solos have won multiple titles and her duets have also won high score awards. 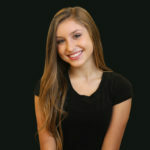 Lilly is a Company member for the Tremaine Performance Program and enjoys touring the country assisting their faculty. “Ms. Michele” began dancing at the age of three, taking classes from Sharon Butler at Monona Academy of Performing Arts. It was during high school she found her true passion, teaching young people to love dance as much as she does. Michele believes dance is a true art form that all children should have an opportunity to experience. Originally from Ohio, Ashley began dancing at a young age at Zahnow Dance Studio. She was trained in the Cecchetti method of ballet, completing her Grade 6. Ashley’s favorite quote is “Learning to walk sets you free, learning to dance gives you the freedom of all; to express your whole self, the person you are.” – Melissa Hayden. Sarah was born and trained in the United Kingdom, and holds a Bachelor of Arts degree in Performing Arts from the Northern School of Contemporary Dance, Leeds UK, where she studied contemporary, ballet, jazz, hip hop and dance in special education. She has performed in a variety of shows throughout Europe, including ‘pomp duck and circumstance’ by Cirque du Soleil. Her hobbies include acrobatics, hot yoga and painting. 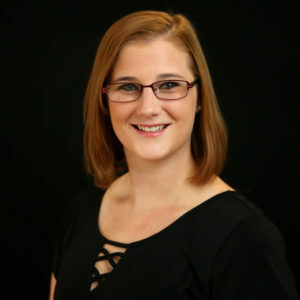 Misty consistently produces dancers who demonstrate great technical skill through her attention to detail and her ability to get the most out of every child she teaches. With Misty’s gentle, yet firm guidance, children learn classical ballet, its correct terminology and proper technique. Misty strives to instill confidence and the love of ballet in each of her students. CALLIE MOYER Callie has been dancing since the age of 3, beginning at Storybook Ballet and Westside Performing Arts. She began training at Synergy in 2012. Callie is trained in ballet, pointe, tap, jazz, contemporary, lyrical, musical theater and hip hop. At the age of 8 Callie began competitive dance and has received overall high scores, convention scholarships, has been a hip hop free style finalist and was the recipient of a weeklong scholarship to The Edge Performing Arts Center in Los Angeles, CA in 2015. Callie has performed with the Madison Ballet and StageWorks Projects in the Nutcracker. 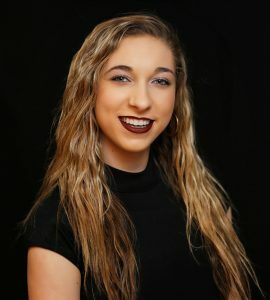 Callie travels with the Tremaine National Performance Company throughout the year assisting and performing with the Tremaine Dance Convention faculty. When Kennedy was in fourth grade she took a break from dance to try different sports, but then she realized dance was her passion and returned with enthusiasm. Kennedy has previously been on Synergy Dance Academy’s Company and is a student at the UW of Madison. She has taught tap, jazz, ballet and Team and enjoys watching her students grow throughout the year. 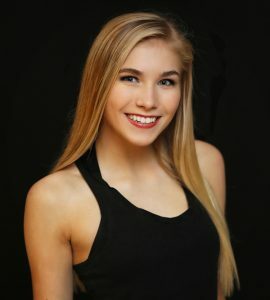 Annika began her ballet training with the School of Madison Ballet in 2005 and spent summers studying with various professional ballet schools including: Ballet Chicago, Milwaukee Ballet, Joffrey Ballet in Chicago, and Pittsburgh Ballet Theatre. She began dancing professionally with Madison Ballet’s company in 2014, under the direction of W. Earle Smith, and has been teaching for three years. Clare has been dancing for over 13 years, receiving her training at both West Side Performing Arts and Synergy. She has been trained in ballet, tap, jazz, pointe, lyrical and contemporary and enjoys ballet and pointe the most. Clare has been a part of the Synergy apprentice program for four years, demonstrating both tap and ballet. She has also attended many dance conventions including Tremaine and Dance League. Clare has choreographed for various school productions including Fiddler on the Roof and A Midsummer Night’s Dream. In her classes Clare puts a strong emphasis on technique, fun and strong work ethic. When Clare is not dancing she enjoys acting and theater as well as singing in choir and competing in forensics. Jenna began dancing at the age of 3 at Westside Performing Arts. Jenna is trained in ballet, tap, jazz, lyrical, contemporary musical theater and hip hop. She has won scholarships from various dance competitions and joined WSPA’s dance team when she was 9, she is currently a Senior Dance Team member at Synergy Dance Academy. Jenna has done various duets and solos for competitions and has won overall high scores for her routines. Jenna would love to continue working with kids after she graduates in 2020.